Last weekend in Russia was really hot. 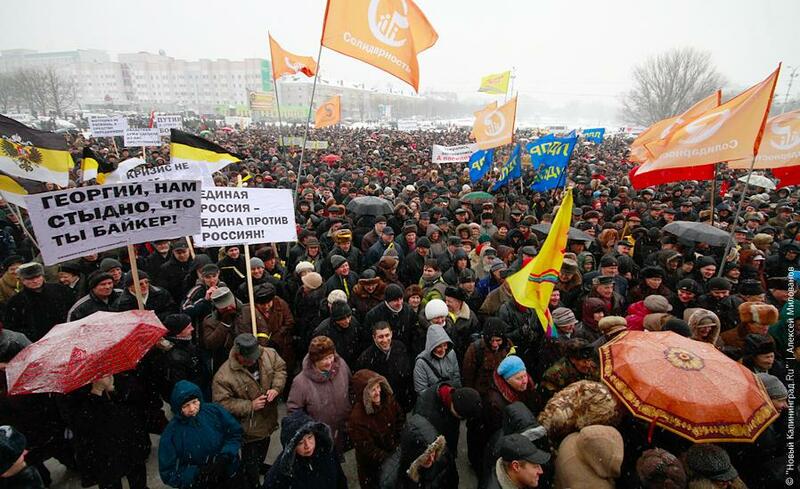 7,000 to 12,000 people participated in a protest in Kaliningrad on January 30. The rally oranized by Solidarnost was supported even by relatively loyal KPRF, Yabloko, LDPR and many civic groups. The action was dedicated to raising of transport tax and communal tariffs by the regional government but soon became a political event when participants demanded resignation of Vladimir Putin’s government. It was the largest protest in recent years. The other day, Moscow and St Petersburg were protesting. Despite the smaller figures of participants, the actions were just as dramatic. 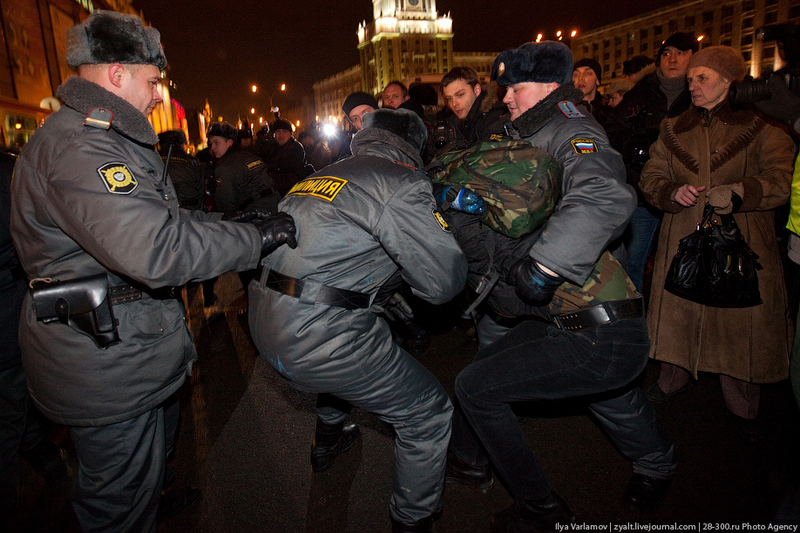 About 700 Moscow citizens came to Triumfalnaya Square to demand freedom of assembly knowing that the police will be beating and arresting people. They were right: about 150 participants of the peacceful protest were arrested including Boris Nemtsov and winner of 2009 Andrei Sakharov Prize Oleg Orlov. Dozens were arrested in St Petersburg. Organizers plan next action for March 31 and claim that they won’t give up until the government begins to respect the right of association. A few hours before, opposition activists were attacked at a Moscow metro station by mobsters armed with sticks. Several young people were injured but in the end they managed to hold a surprise march in the city center. About 100 people walked down Sadovoe Ring with opposition slogans and disappeared minutes before police showed up.